SSNs are still just a click away on the world wide web and they were most likely put there by some stupid elected official. 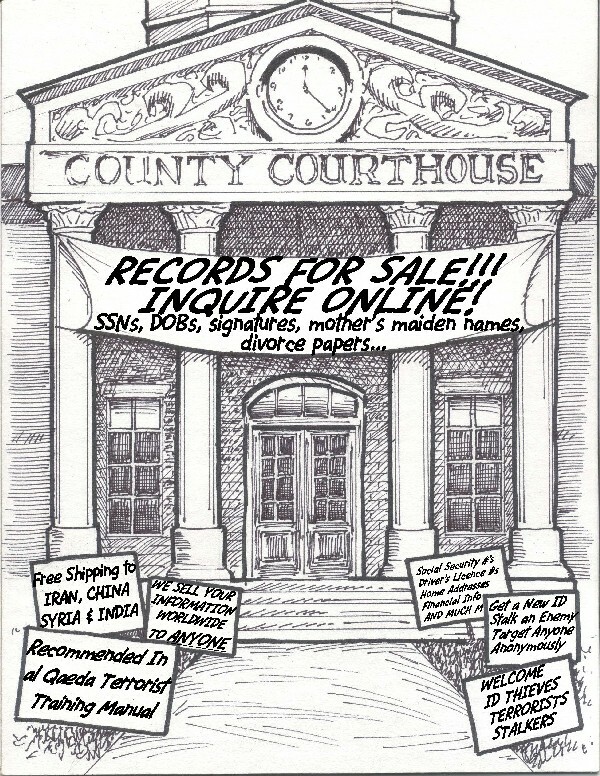 Many County/City Court clerks and other state agencies all over the United States still have records on the internet showing SSNs and other personal information. And your personal health info is being put into electronic format without your permission and anyone can get to it. It may already be on some website. 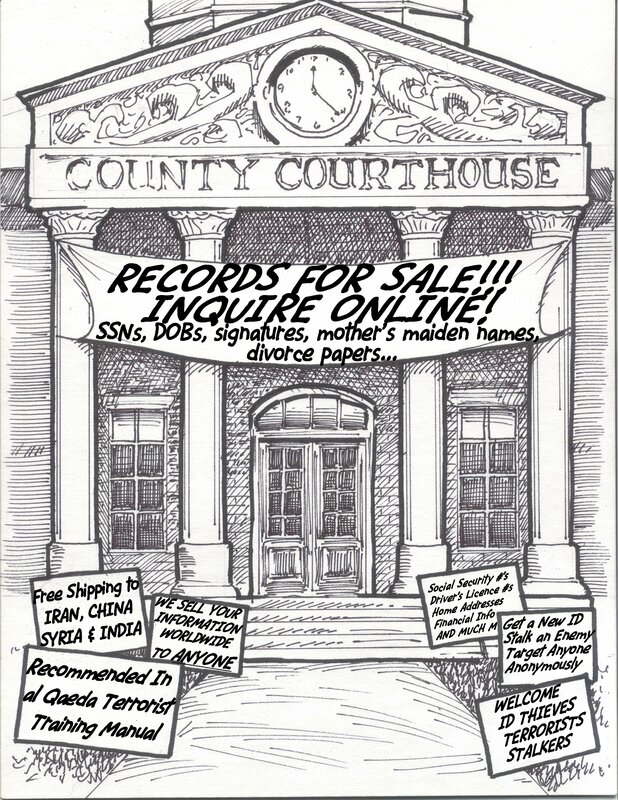 Remember the late Farrah Fawcett's case where a low end hospital worker got into her info on a computer and sold it to the tabloids? If the records had been on paper, that would not have happened. Read this scary but informative article... and then read about Patient Privacy Rights/electronic health records. What should be put into the health care law should be a line that says "patient consent is required for the use and disclosure of medical records." Will that line be added? Probably not because OUR gov't wants OUR info available online and so now we have lost control of our privacy (which we do have a right to) and people have no clue this is happening. Go to more articles in our archives about SSNs online thanks to stupid elected or appointed officials.